2609 SE Clinton Street in Portland, Oregon. We specialize in the highest quality natural fibers and textiles for sewing garments. 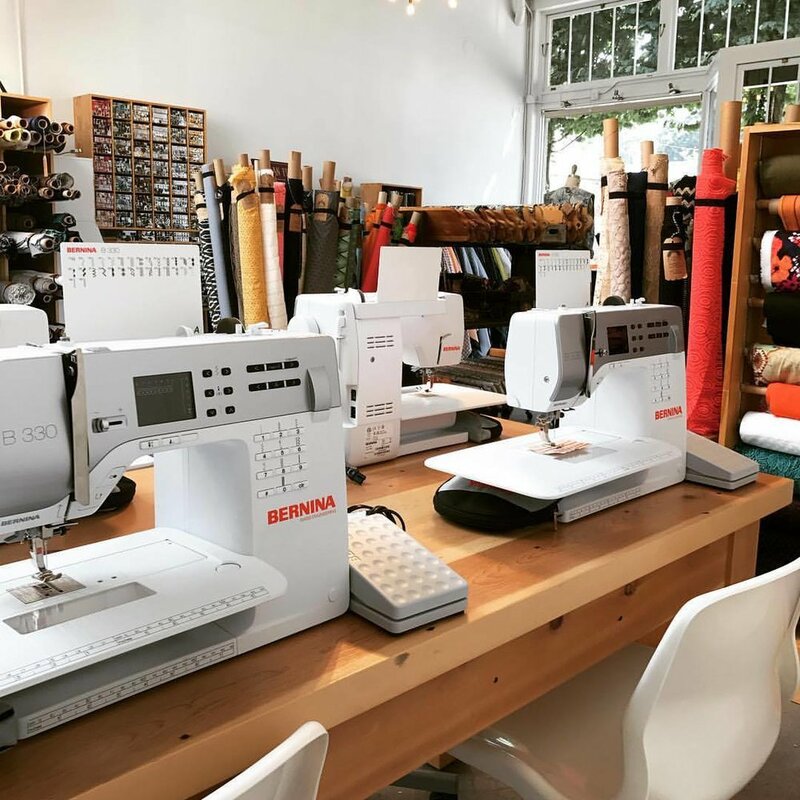 We carry just about everything, including but not limited to: cotton, linen, silk, wool, lace, unique buttons, ribbon and trims. We also offer custom clothing and one-on-one project consultations. Come visit us and be inspired! 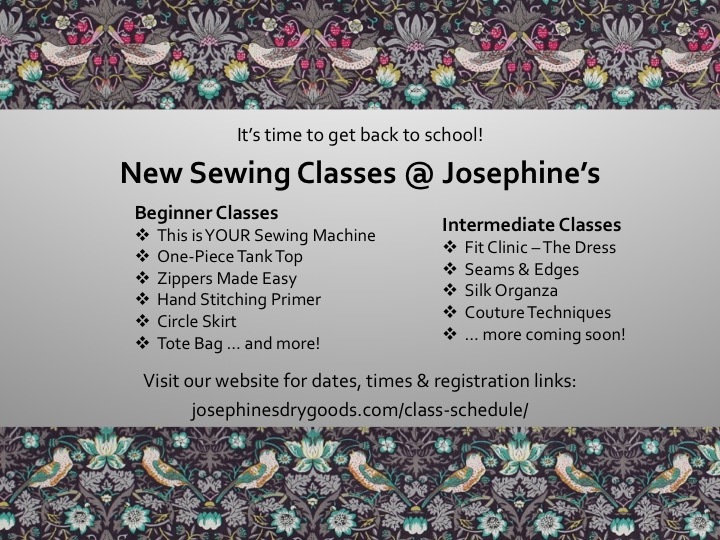 Josephine’s Dry Goods stocks the best of the best when it comes to sewing tools and other fabric accompaniments. Come visit our store to peruse our beautiful button selection! 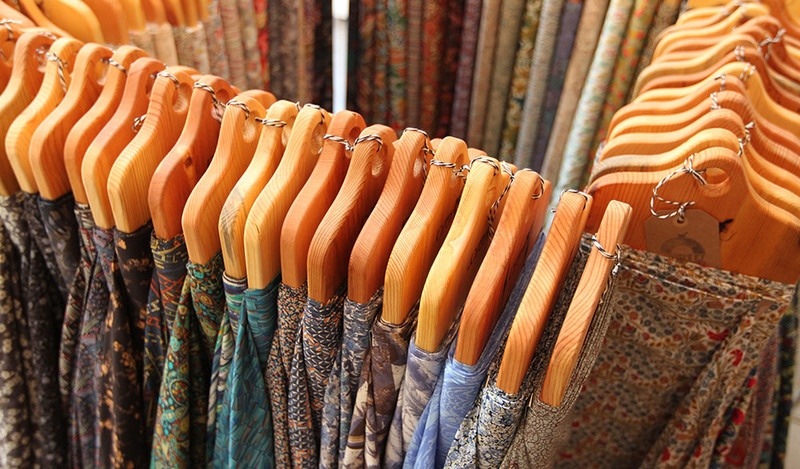 Josephine’s Dry Goods carries high quality fabrics that have been curated from all over the world. 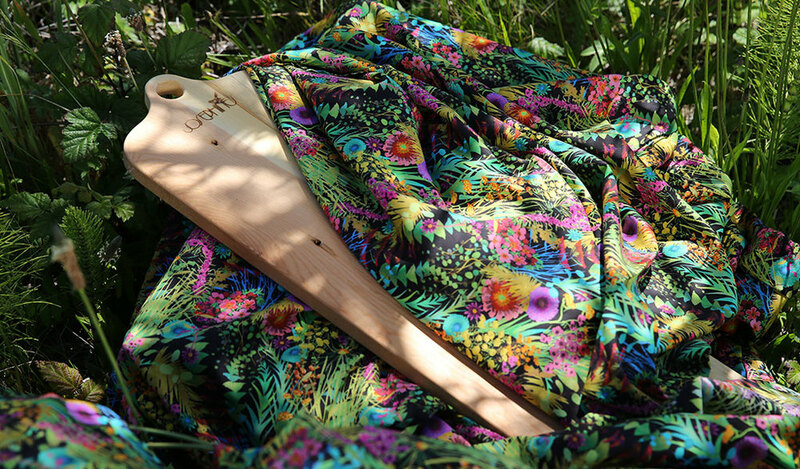 In addition to our already extensive collection, we are proud to offer the largest physical selection of Liberty of London fabrics in the Pacific Northwest. We will provide couture clothing services if you have a vision for a fabric and don’t have the time or expertise to create the garment yourself. Come fall in love with the fabrics to create your new wardrobe! Prices and production schedule will be set on a case-by-case basis. 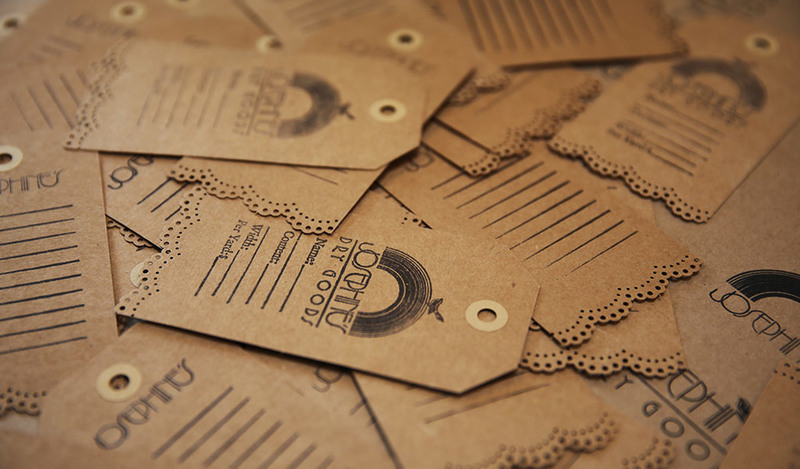 Enter your email address to be up on the latest seasonal fabrics, notions and exciting news! We respect your privacy. Girl Scout's honor. Sign up with your email address to receive notifications when new blogs are posted! Thank you for subscribing to our blog! We'll be announcing special sales here too - so be sure to check out the new posts!